UNCW POP's research committee hosted B3 Week on UNCW's campus as the kick-off of a larger movement to raise awareness of the problem of cigarette litter on North Carolina's beaches. Ban Beach Butts, affectionately known as B3, is a campaign to increase public awareness of the issue and bolster support for an eventual proposal to the North Carolina General assembly making smoking on the beach illegal statewide. It is not common knowledge that the filters on cigarettes are made of plastic and, because cigarettes make up 38% of all litter found on beaches, it is causing a huge marine debris problem. 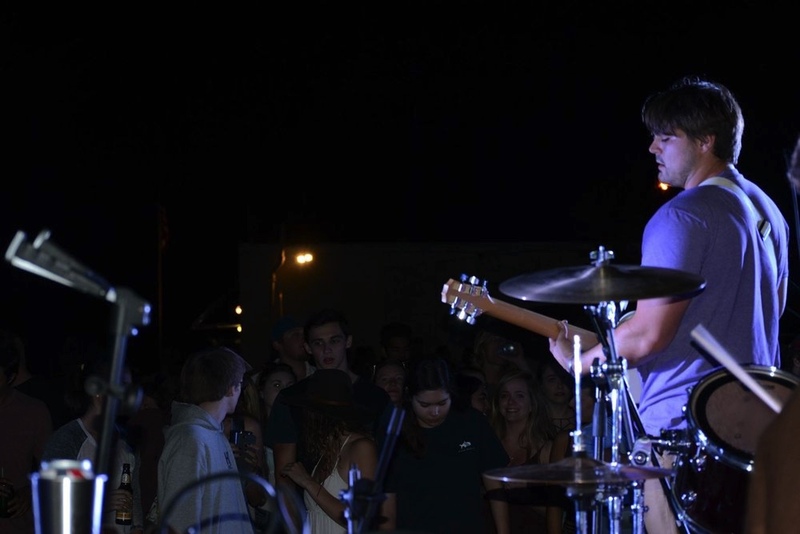 The members of UNCW plastic ocean project conducted many events on campus and in the community. They spent the weekend interacting with children at the Fort Fisher aquarium to educate the next generation about the dangers of marine debris and how they can help stop it. 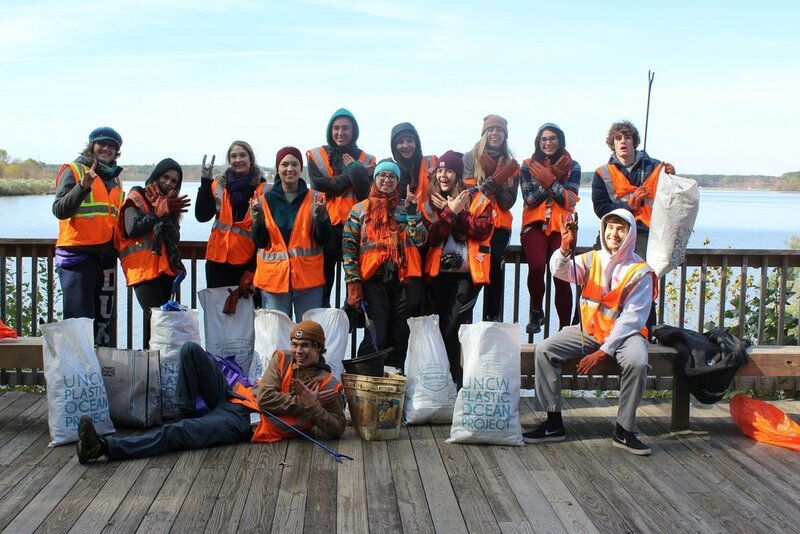 During the week they hosted a campus litter sweep and a beach sweep at Johnnie Mercer's pier on Wrightsville Beach. They also screened A Plastic Oceanat Waterman's Brewery, a favorite of the locals and a frequent location of environmentally related videos. Tabling on campus and educating the community during the one week resulted in a banner filled with signatures displaying support and over 150 signatures on the letter of intent that will be presented to NC legislators. 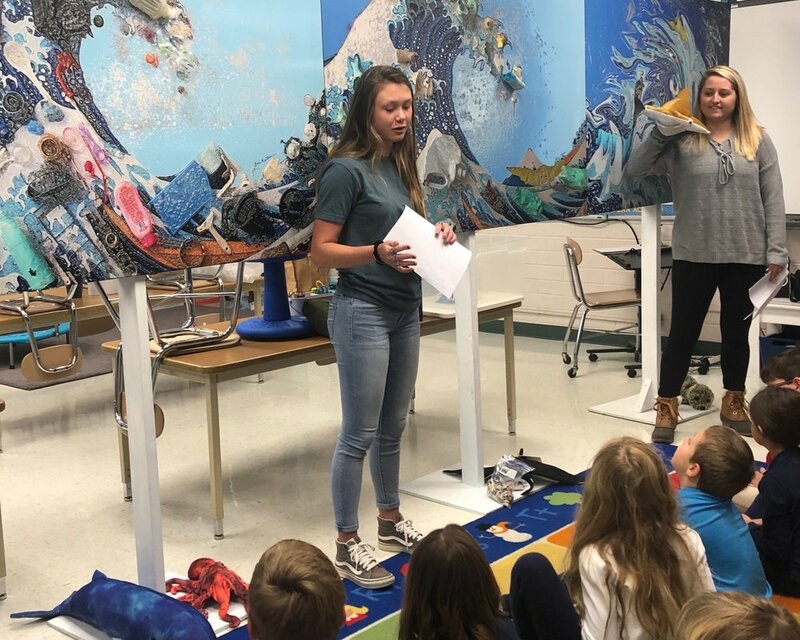 On March 20th, the POP Education Committee along with UNCW POPs very own Bonnie Monteleone went to Cape Fear Academy to perform a puppet show that emphasized the importance of our beaches and oceans and how we can protect all of the marine life that live here. Before the show even started many students and teachers that passed by the classroom were fascinated with the background created by Bonnie along with the puppets that were used for the show. When the 1st graders arrived they were so pumped to be introduced to each of the characters and all have a turn at holding their new friends. We talked about each specific animal and the role their species plays; how long it takes them to reproduce, what they typically eat, where they live, and how our plastic consumption affects them! All of the students were very knowledgable about plastic bags and knew that when floating in the ocean they look like jellyfish to sea turtles which is one of their main food sources. We were also able to teach them many new things like, that whales are filter feeders and that when they go to eat they ingest plastic on accident while they’re trying to eat plankton. Also that many birds, like pelicans, can get stuck and suffocate on things like balloons that have been released into the air. The class was shocked to see the detrimental effects of marine debris on their puppet friends. They all promised to do their best to consume less plastic and many of them even shared their own experiences of refusing single-use plastics, like straws at restaurants. This was an awesome experience and We are so thankful we got the opportunity to share our knowledge with the future generation. Education is so important and it is all worth it when the students become interested and ready to make that change! 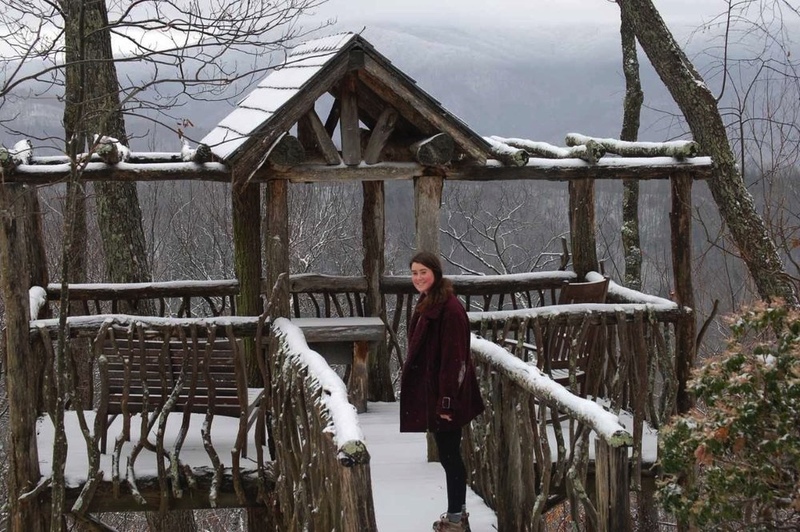 We had an incredible mountain weekend experience in Lake Lure, NC, cohosted with Give UNCW. We tackled the brutally cold (and sometimes blizzard conditions) to bring awareness to marine plastic pollution inland- because all bodies of water eventually flow to the ocean. 18 of us ventured into the heart of downtown Asheville on the first day, in rain jackets and all, and explored the Mast General Store, Mamasitas burritos, books and such at the library, and some good brews at Asheville Brewing Co. (21+). The next day, the crew braced the cold and snow to help support women’s rights during the Asheville Women’s March. Some of girls recycled our pancake boxes from breakfast to make signs to hold up during the march. We had fun walking around, but quickly took retreat into a local coffee shop (using their in-house mugs of course!) On our way back to the house, we passed Hanging Rock where we witnessed a huge waterfall spew half-frozen water for hundreds of feet below…nature is incredible! We then ventured into some local trails to take in more of the sights and sounds of the NC Appalachian mountains. Along the way we removed several wrappers, plastic bottles, and other trash. We stumbled upon another waterfall and some pretty big rocks, acting like kids again, getting lost in the wild. That night we built a bonfire outside our house, roasted some marshmallows, told ghost stories, and stayed up late to witness a spectacular lunar eclipse (for many of us our first!) When the moon finally became blocked by the Earth’s shadow, hundreds of thousands of stars brightened the sky ever so clearly. On the last day, we REALLY braced the cold (temps below 15F!) We helped Greenworks remove near 70 lbs of trash from streets of downtown Asheville… trash that would have otherwise made its way into the drains, down the rivers, and impact aquatic life. It was so cold, that at times the garbage was frozen, stuck to the ground (especially cig butts). At the end, we rewarded ourselves with some locally made sandwiches and sweets and made our trek back to Wilmington. Weekend well spent! 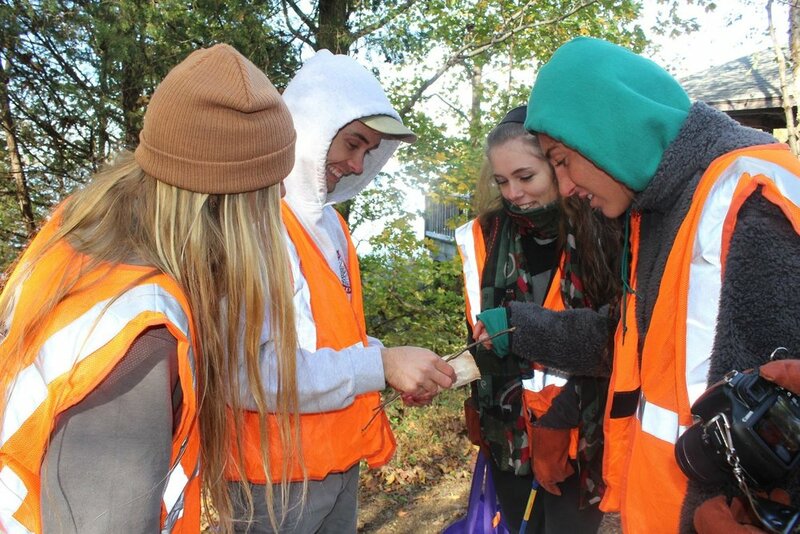 On Nov. 10th-11th UNCW POP teamed up, and camped out, with the NC State Wolfpack Environmental Student Association (WESA), to clean up Crabtree Creek and Black Creek in Raleigh, NC. We swept for several hours on Saturday morning, and were able to collect 40+ lbs. of trash, most of which was plastic bags, (102) plastic bottles, dismembered car parts, Styrofoam bricks, and other food packaging film. Considering that most of these materials are remarkably light, 40+ lbs. of debris is actually a massive amount, we had a literal truck-load of bags filled to the brim with hundreds - if not thousands - of items. We had doubts when we first arrived at the river because everything already looked so clean; we weren't sure there would be enough debris for our efforts to be worth-while. Both fortunately, and unfortunately, we found plenty of debris to collect and as far as we could tell, we found everything there was to find. It was so awesome to work with our new friends from WESA, and it's always refreshing to team up with other like-minded and passionate individuals to do something great for the common good of our beautiful planet! 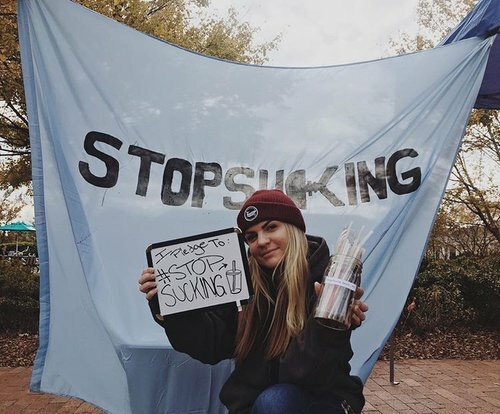 UNCW Plastic Ocean Project hosted their annual educational awareness week, “Stop Sucking Week” influenced by efforts made by the Lonely Whale Foundation. The goal of the week was to permanently remove plastic straws from all dining locations, events, and program on the UNCW campus. To create this change, we need the support of our students, faculty, peers, and community. Plastic straws are an unnecessary waste in our daily consumption and behavior. Everyday in the United States alone, 500 million straws are used, and a countless amount find their way into our ocean and our environment. Since we are a university so interconnected with the ocean, it is imperative that we maximize our efforts to reduce plastic waste, and protect what makes our school so great. Let's make UNCW the first campus to be 100% plastic straw free! UNCW POP Tabled outside of Randall Library and the Fischer Student Center for four days in November in order to promote our campaign and get students to sign the Stop Sucking Petition. Metal straws were brought to the campus PODS, and paper straws were given out upon request in three dining locations on campus, including Port City Java and Dub’s Cafe. We also offered metal straws (an easy and cheap substitute to plastic straws) , straw facts, buttons, contests, and photo-ops at our table. Sign out petition to ban plastic straws on the UNCW campus HERE! 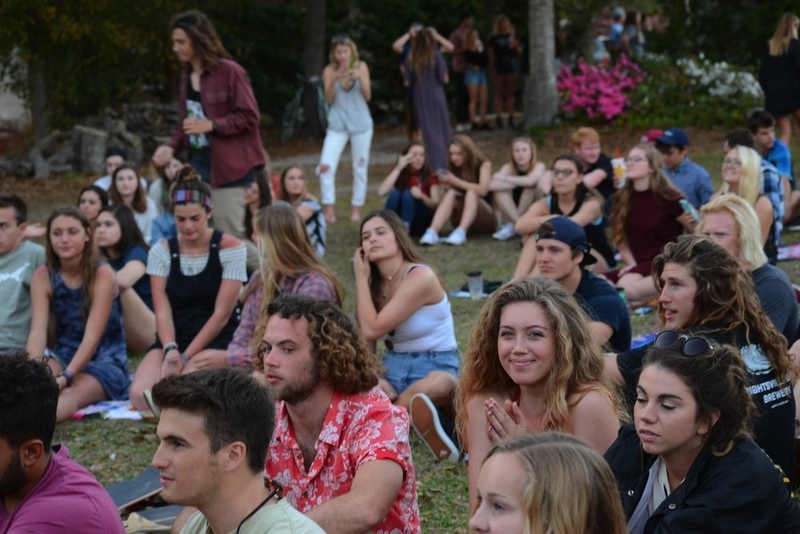 An epic night of plastic-free music and friends, Sustain with Sound 2017 featured Elephant Convoy, Gnarly Feat, Sibilant Sounds, and Josh Albert & Willow Rea. Stay tuned for 2018's event! Our Plastics To Art Gala features local artists who transform marine plastics into a variety of art mediums to educate and bring awareness to this issue. 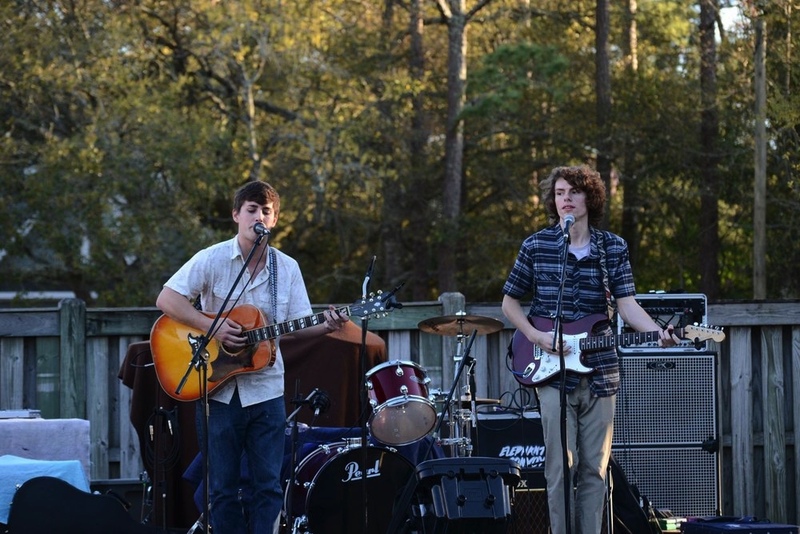 The night's events also include local musicians, plastic-free apps and drinks, and a plastic-art-fashion-show by Wrightsville Beach Elementary students.